The National Alliance of People’s Movements (NAPM), apex body of tens of mass organizations of India, has strongly protested against the Odisha Govermnent’s reported attempt to conduct Gram Sabhas in the Niyamgiri area to allow the MNC Vedanta to begin mining of bauxite for its Rs 50,000 crore aluminia refinery project, calling the move as "illegal and contempt of the Supreme Court order". NAPM's Prafulla Samantara, a petitioner in the case against Vedanta in the Supreme Court, suspected the government was doing it to raise "funds for the party for the elections", adding, "The state is planning to reconvene Gram Sabhas in Niyamgiri in all the 12 villages which had voted against the proposed mining in Niyamgiri between July 18 and August 19, 2013, held under direction from Supreme Court." The senior activist, talking with newspersons in Bhubaneswar, said, it was "expected" of the government to hold them accountable for violations of established laws and acts of the land, and that it should have "realized its mistakes" by not allowing any further damage or harm to the already deteriorating trust between the vulnerable Dongaria community and the state." In between, Samantara said, the Government of India even appeared to have started, in cooperation with the district administration, to bring certain state run schemes to the area. But now "real intention of the administration has been exposed after the fresh", he added. Samantara alleged, "The state had abandoned Niyamgiri and the Dongaraias for 67 years and remembered only for bauxite mining after arrival of Vedanta in 2002. The administration was upset with Gram Sabha verdicts in 2013 and boycotted the hills for the last two years, and now has started figuring again proactively in the area." Another activist Bhalachandra Sarangi warned the state government "not to resort to backdoor and corrupt anti-people practices”, saying, the Supreme Court-appointed committee, which submitted its report, on September 21, 2005, had clearly said that “the use of the forest land in an ecologically sensitive area like the Niyamgiri Hills should not be permitted." 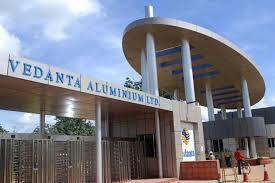 The committee "recommended that this court may consider revoking the environmental clearance dated September 22, 2004 granted by the Ministry of Environment and Forests (MoEF) for setting up of the Alumina Refinery Plant by Vedanta and directing them to stop further work on the project, said Sarangi. The activist said, it would be "unfair" of the government to say that people were losing jobs and that’s why it was essential to hand over the bauxite source for the refinery and Niyamgiri hills. "Rather government should penalize Vedanta for the violations and use the money for mitigating the environmental damage caused to the region", he added, warning the government, it will "face massive resistance once again" if it does not pull back.